Weeks after saying they wanted to buy the company, cannabis retailer Green Growth Brands has finally come forward with details of their offer to take over cannabis producer Aphria Inc. 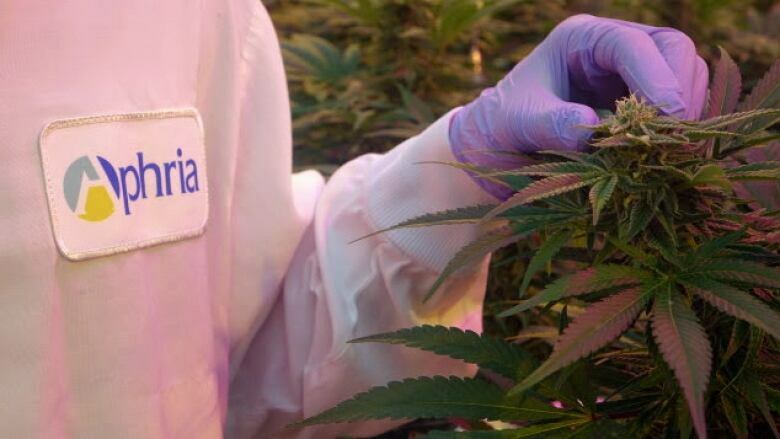 The Ohio-based company said it is offering to buy out existing Aphria shareholders in an all-stock transaction that will see them get 1.5714 shares in Green Growth Brands for every Aphria share they agree to hand over. Green Growth Brands is currently valued at about $6 per share. Aphria, meanwhile, was trading at more than $9 a share on Tuesday. But that's well below what the company was worth six weeks ago, before a short seller rocked the company's stock with allegations that they had vastly overpaid for essentially worthless assets in the Caribbean and Latin America. Those allegations lopped off about half of Aphria's share price, but doubts have since been cast on their veracity, and Aphria shares have marched back up a little since bottoming out at about $5 a share in early December. Green Growth Brands, which sells medical and recreational marijuana in various U.S. states but doesn't produce the plant itself, said over the holidays that it was interested in buying Aphria, but initially offered few details. Wednesday's news reveals a little more of the fine print of that plan. "We are pleased to officially launch our bid for Aphria," CEO Peter Horvath said. "This is an exciting opportunity for shareholders of both Green Growth and Aphria to build value and create the preeminent cannabis operator in North America." GGB says its offer is valid until May, but Aphria management has already come out and urged its shareholders to exercise caution. "We are also determined to protect Aphria shareholders from opportunistic offers that fail to reflect the substantial value and growth prospects we have built at Aphria," board member Irwin Simon said in a release. Investor John Mastromattei, who says he acquired a six-figure stake in Aphria after the shares sank in December, thinks the offer as it stands is unlikely to appeal to most investors in the company. "It's a low-ball offer," he said in an interview Wednesday, noting that Green Growth Brands is attempting to take over a company worth far more than it is, while spending very little in cash. "They're trying to capitalize on the cheap share price by tricking investors into thinking this is the only option they have," he said. "The Green Growth shareholders get to own Aphria at a really bargain price." More likely, Mastromattei says, is that another marijuana company will come in with a better offer, given the well-documented supply shortages that are plaguing the industry. "They're all looking for more production right now," he said.